As part of its international expansion plans, Intelecto marked presence at Outsource2Lac, in Costa Rica. Represented by its international director, Pablo Carosella, the group was one of the four Brazilian companies presented at the event organized by Connect Americas. As said by the executive, the event had 3 days of networking activities, conferences between important executives of the industry and B2B meetings. About this, he tells that once more new technologies were the center of the talks at those conferences, with a special focus at artificial intelligence. “Also was very interesting the conference about shared economies. Two representatives of Uber and Airbnb gave their visions about Sharing Economy and what this represent on the world”, he said. The director revels that, during the meetings, it was possible to show and establish Brazil as a good alternative for outsourcing market. 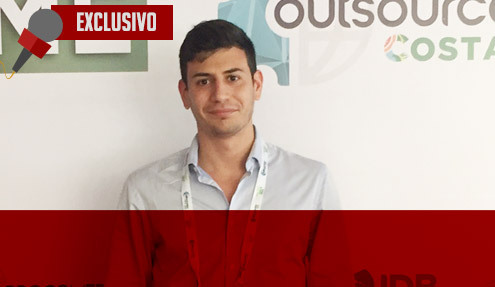 “Even with the crisis, makes a lot of sense investing in our country, being the biggest economy of Latin America and one the biggest in the world.” In an exclusive interview to Callcenter.inf.br, Carosella talks in details what he saw at Outsource2Lac, pointing out the new technologies, also revealing those themes who received a special feature and how was the company participation. Callcenter.inf.br – What was presented as really new in terms of costumers management? Carosella : Once more new technologies were the center of the talking at conferences. It was presented how Artificial Intelligence can help at costumer services and how many companies start to migrate some attention lines to “robots”. In fact, the development of AI intelligence is allowing some cost reductions to those companies and still have a quality costumer services. But I think that AI can’t substitute all contact center work. It will be important, on this next two or three years, to implement new technologies as AI, speech analysis, cloud, etc., but always using them as tools to get high satisfaction and engagement from costumers, and not only as tools to reduce costs. It was very interesting also the conference about shared economies. Two representatives of Uber and Airbnb gave their visions about it and what this represent on the world. People started to change their mentality about how to use their properties and each year economy grows larger. Here we have two important points, one about a new commercial culture where people think that changing his assets or services make more sense than isolation or individual economies. Another interesting point is how to have a bigger profitability when the majority of our assets aren’t used all the time; an example is our vehicles, which we use only 5% of the time. What else received some highlight at the event? At conference we had some time to talk about how politics can change the world of outsourcing. After some events like Brexit or Donald Trump’s election victory, it’s logical to think the outsourcing can be affected by political economy lined up with protectionism. Even with that, I agree with specialists that no important change will happen. We have to understand that costumer service is very important for the companies and ending with outsourcing would have a direct impact on costs since many groups would have to exchange workers in places like Latin America, India or Philippines to hire locally, where salaries and costs are bigger. In fact costumers aren’t ready or don’t want to pay more for the same service, and the governments don’t want to have an inflation increase allowed by those problems. Inside that, during those meetings, we showed and set Brazil as a good alternative to outsourcing market. Even with the crisis, makes a lot of sense investing in our country, being the biggest economy of Latin America and one the biggest in the world. We share the idea with groups and executives that, in Brazil, we can easily hire qualified people with competitive prices, in comparison with American or European markets. About all those subjects, what’s being implemented in Brazil? In Brazil some corporations already started to implement some technologies like AI or speech analytics, but still far from what has been developed in another markets like Europe or United States. Why are you involving yourselves on that? Intelecto was one of the four companies who represented Brazil. From a commercial point of view, our participation was really important since Intelecto is investing time and efforts to expand our work in places like Europe and United States. In this conference we meet many potential clients who were really interested about out work. Also it was very interesting to seek new technologies and previsions of new investments on the next 2, 3 years.